A reliable performance 365 days a year without changing tyres – this is what the latest generation of Hankook all-weather tyres has been developed for. With more than 20 years of experience in the all-weather tyre product category, the tyre maker is one of the pioneers in this field. 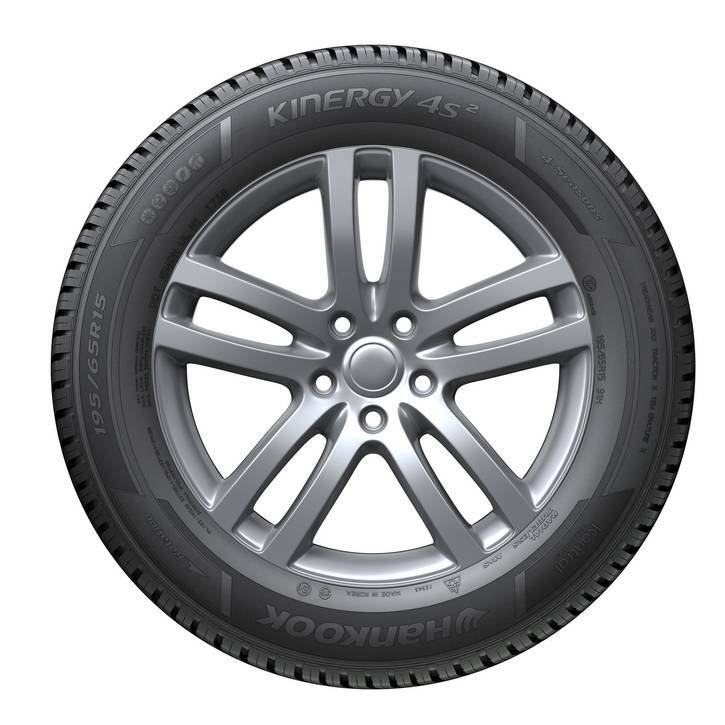 The entire know-how of the Hankook engineers has been incorporated in the development of the Kinergy 4S², which has been specially designed for European road conditions. 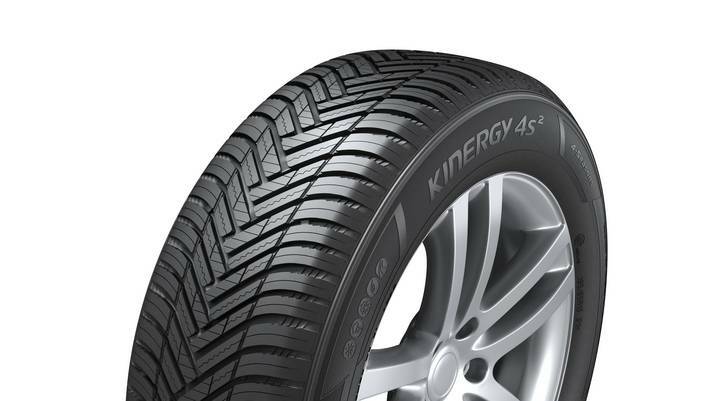 With its new V-shaped tread pattern and a state-of-the-art tread mixture made of natural oil components, the new Kinergy 4S² guarantees stable driving and braking behaviour all year round across the different temperature ranges that regularly occur in Europe. On its market launch in June 2018, it will be available in 17 popular sizes from 14 to 17 inches. By the end of the year, the line-up will be expanded by a further 43 sizes up to 20 inches. Neu-Isenburg, Germany, 29 May 2018 With the Kinergy 4S² all-weather specialist, which has been completely redeveloped for no less than its fifth generation, premium tyre maker Hankook is specifically targeting quality- and cost-conscious drivers who prefer not have to change their tyres every six months but who do not want to go without balanced performance and safety. In order to be equipped for all weathers and temperatures, the new Kinergy 4S² offers specially balanced and constant performance features across all seasons. This is made possible by a directional tread being used for Hankook all-weather tyres for the first time, combined with a particularly innovative polymer silica tread mixture. 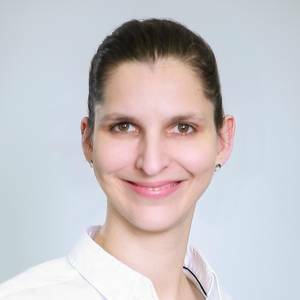 This makes the product an attractive alternative when it comes to ensuring legally compliant year-round mobility, particularly as weather conditions in Europe become increasingly changeable, as well as for use in more urban traffic. Thanks to the snowflake marking (3PMSF), which has been binding for winter tyres in Europe since January 2018, the tyre can be used all year round even in countries with situational or static winter tyre requirements. 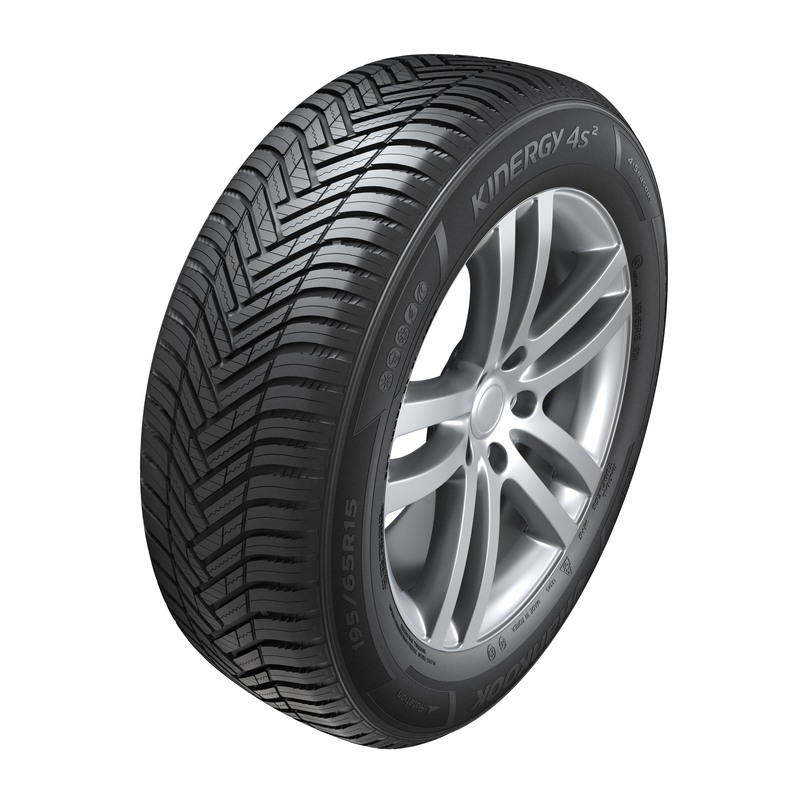 As an all-weather tyre, the Kinergy 4S² is a real all-rounder and combines crucial summer and winter tyre properties without temperature-related performance losses. It is extremely reliable in wet and dry conditions as well as on snow. The directional tread is one of the factors that ensures safe driving on wet roads. The V-shaped interleaved tread blocks guarantee high driving stability. They are divided by extra-wide two-level grooves which disperse water ideally to the side even in heavy rain. The drainage system prevents hydro planning and even discharges slush out of the tread effectively. These tread characteristics are supported by the newly developed tyre mixture from a high-density silica polymer compound which ensures very good wet grip on nano level thanks to a high share of natural renewable raw materials among other factors. The same combination of natural and synthetic high-tech ingredients also has a positive effect on the dry performance of the Kinergy 4S². For the new all-weather tyre, Hankook’s compound experts have achieved a high rigidity, extra stability round bends and improved steering precision on dry roads as well as high grip independently of the temperature. This high rigidity is guaranteed by the solid block structure and its special layout. Thus the Hankook engineers ensure that the braking distances remain short even on dry roads and at higher temperatures, and the tyre shoulder offers the necessary footing, benefiting dry handling properties as a whole. 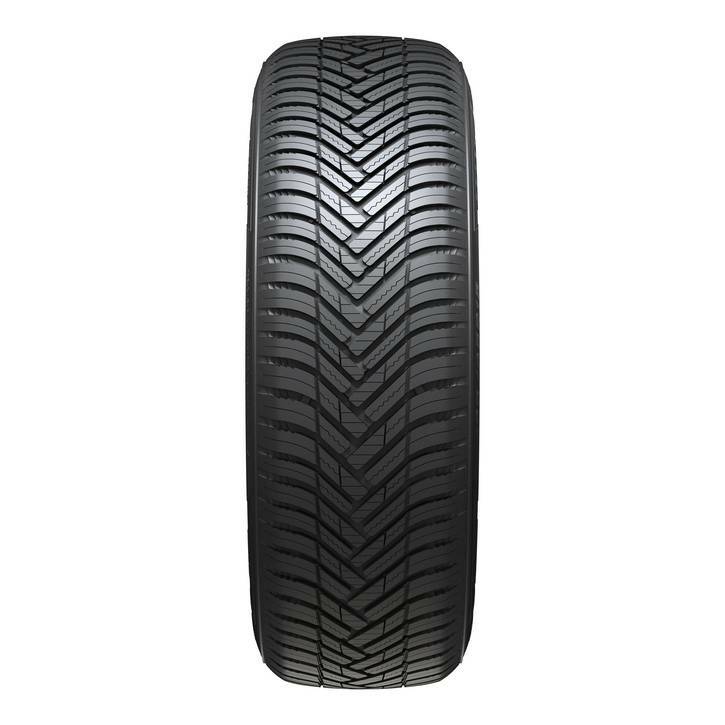 In addition, the variation in block layout, which has a zigzag pattern in the centre of the tread, results in a reduction in noise level compared to the predecessor tread. Functionalised polymers ensure a high-density compound with silica structures. Thus elasticity is retained while rolling resistance is reduced and the tyre’s natural aging process is slowed down by the stable chemical composition of the individual constituents. This also has a positive effect on mileage. The Kinergy 4S² is particularly resilient and has a long service life and good operating efficiency thanks to reduced abrasion. 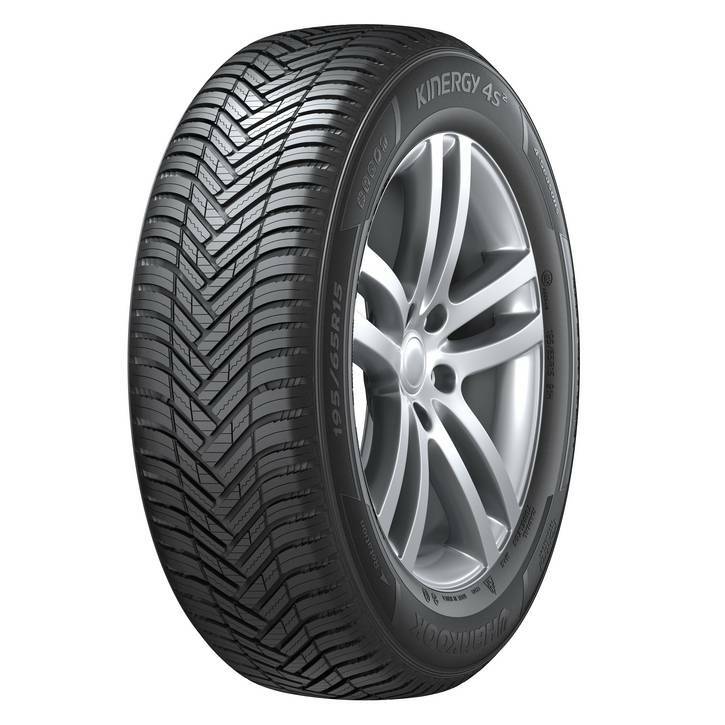 With all-weather tyres it is important that the tyre compound remains elastic and does not harden at low temperatures. This is the only way the tyre’s contact surface can retain the crucial number of contact points with the road to ensure the necessary grip for safe driving even at temperatures below freezing. Fine 3D sipes in the centre tread block increase the surface area and ensure optimum grip in the snow. 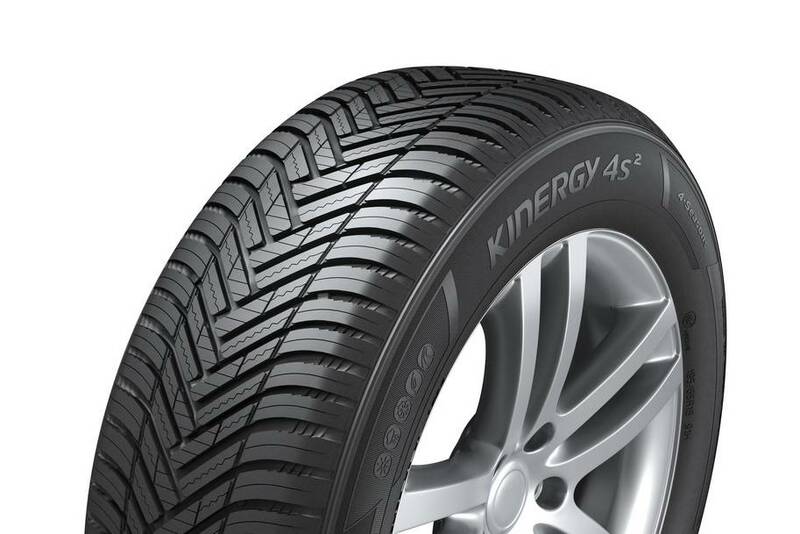 The special 3D wave layout keeps the Kinergy 4S² stable and ensures short braking distances during braking actions not only in the winter, it also reduces wear on the sipes under greater loads on the tyre at high temperatures as well. An optimised tread surface with V-shaped crosswise grooves also enables controlled handling and good lateral stability on snowy roads. Special winter tread wear indicators (WTWI) incorporated into the tread grooves at regular intervals also make it quick and easy for drivers to check whether the tread meets the minimum depth requirements for winter tyres. 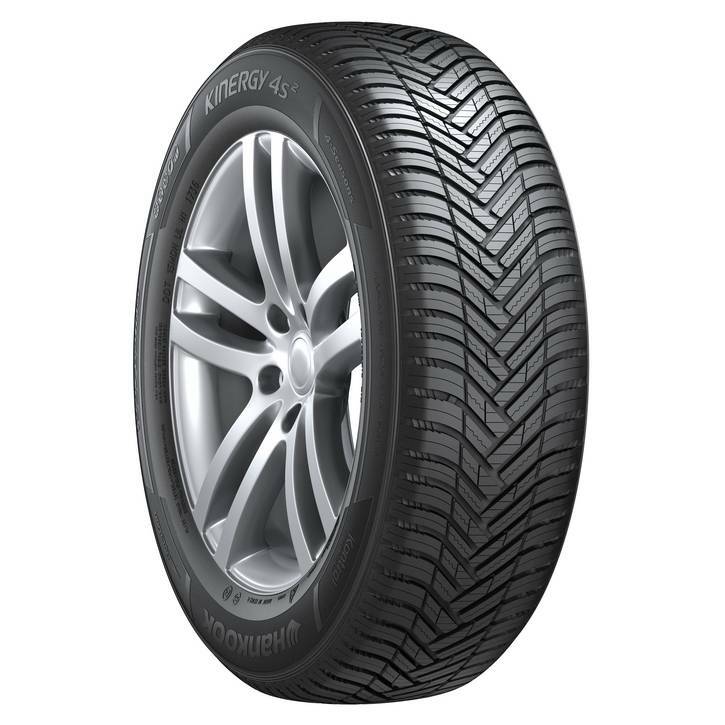 At market launch in June 2018, the Hankook Kinergy 4S² line-up will initially have 17 sizes available from 14 to 17 inches in the 45 to 65 series and tread widths from 175 to 255 with speed ratings T, H and V, W. From the second half of 2018 the line-up will be expanded to 64 sizes from 14 to 20 inches, some of which will be up to speed index Y.